The wheel pit for the waterwheel was built at the bottom of Smithy Hill. The front wall has been robbed out for its stone, but it was originally about 10' high. 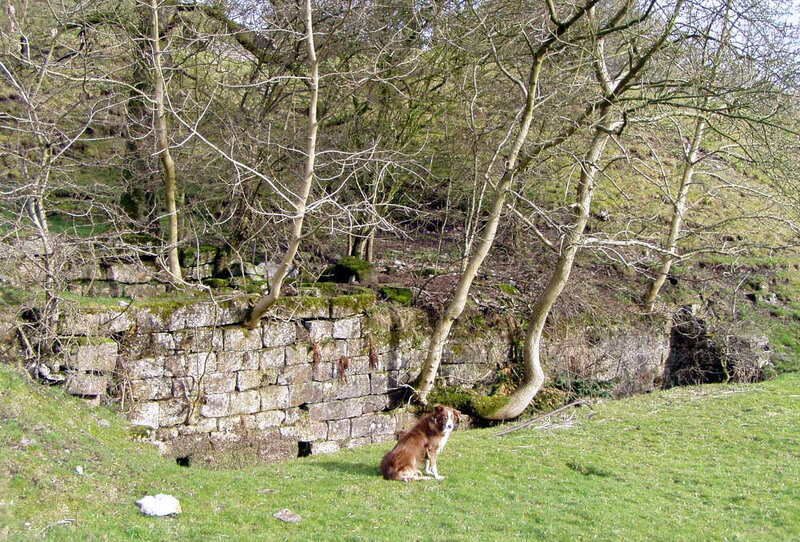 That part of the backwall that supports the bank remains. The pit measures 36½' long by 5' wide at ground level, and was about 8' deep. The tailrace takes off within the pit to the right, but is now buried. This photograph was taken in 2004. Click the photograph for a larger image.